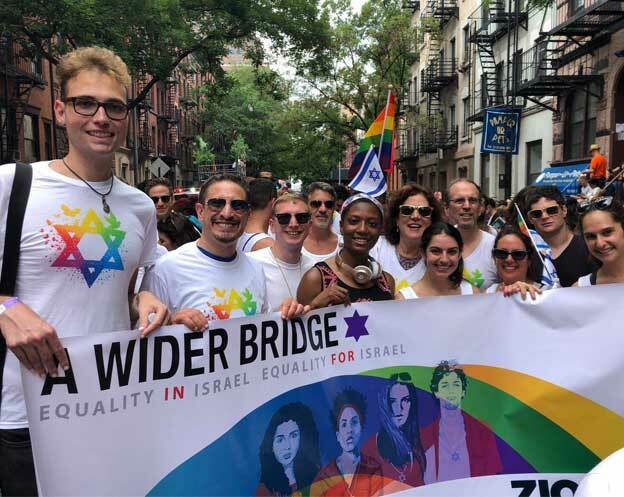 Laurie Grauer, Midwest Manager of Programs and Operations at A Wider Bridge, reflects on the organization’s 2016 LGBT Leadership Mission – AKA #bridge2israel16 – that ended last week. 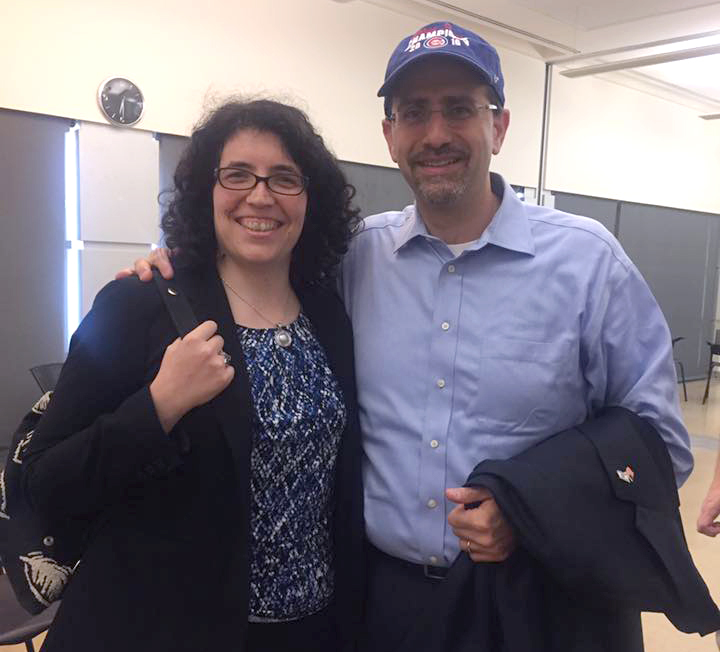 Laurie with US Ambassador to Israel Dan Shapiro, and the special Cubs hat she brought him. It’s now been nearly a week since I have been back from Israel. 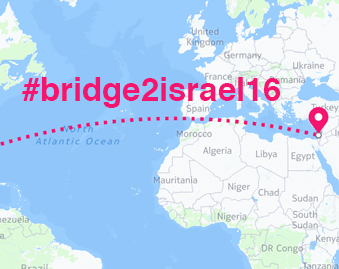 I wanted to give myself time to reflect before writing about it, but my first summations of the trip are only confirmed at the Post Presidential Election Action Forum last night: the #bridge2israel16 Mission Trip filled me with hope for both the US and Israel. Everyday we met people who were still working for a better tomorrow despite legalized religious dogma, political adversity, and even violence. We met Yiscah Smith, a strong spiritual leader who returned to Jerusalem after transitioning even though her community and family excommunicated her. She is now her own authentic spiritual movement. We met a teacher at the Shalom Hartman Institute, an educational epicenter dedicated to pluralistic thought. Here, before leaving, he reminded us that in the pursuit of truth, we cannot cut ourselves off from others-even if they seem diametrically opposed to our views-otherwise, how can we learn? How can we grow? How can we heal? We heard from Rabbi Noa Sattath of the Israel Religious Action Center – IRAC, a civil rights organization that challenges attempts to use religious dogma as a means to discriminate against people based on their race, ethnicity and gender. We had a Shabbat meal with staff and students of The Hebrew University of Jerusalem, a seminary that ordains Queer Rabbis and engages in open dialog with anyone on LGBTQ issues, even with members of known hate groups. While in the West Bank, we met with the counselors of Wings of Hope for Trauma who provide therapeutic services even tough they receive little support from the PA government and mental health remains a societal taboo. We also met Zimam Palestine, a partner of the OneVoice Movement that promotes peaceful political action/dialogue to bring about a two state solution and a free and independent Palestine. While in Nazareth, we met the students and faculty of Polyphony Foundation, which uses musical instruction to bring Jewish and Arab students together. Along these lines, we danced with Catamon- dance group who uses performance art to bring down the cultural and social walls that separate Jerusalemites from each other. While in Tel-Aviv, we met with dozens of LGBTQ organizations who work in coalition with the The Aguda – The Israeli National LGBT Task Force – to lobby for funding and resources to help their constituents. 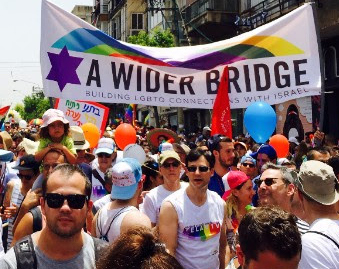 Even Jerusalem Open House for Pride and Tolerance stands now stronger than ever despite the deadly violence that ensued at their Pride March last year. And despite the damage done by the recent fires, Haifa will open its first LGBT Center by 2017. These were only a handful of encounters we had over 10 miraculous days. If these organizations can blaze through despite the political fray that exists in Israel, SO CAN WE RIGHT HERE IN THE U.S.!